All is dust… Spurned by his former brothers and his father Magnus the Red, Ahriman is a wanderer, a sorcerer of Tzeentch whose actions condemned an entire Legion to an eternity of damnation. Once a vaunted servant of the Thousand Sons, he is now an outcast, a renegade who resides in the Eye of Terror. Ever scheming, he plots his return to power and the destruction of his enemies, an architect of fate and master of the warp. 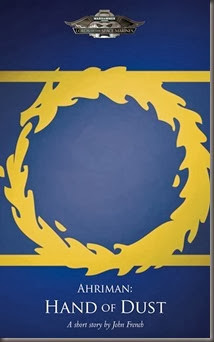 Ahriman, greatest sorcerer of the Thousand Sons and architect of the Rubric that laid his Legion low, continues to walk the path towards salvation, or damnation. Searching for a cure for his Legion, he is forced to consider – was the great ritual somehow flawed from the very beginning? The answer may lie within the mysterious artefact known as the Athenaeum of Kallimakus, a grimoire of forgotten lore which is reputed to contain the exact words of the lost Book of Magnus… or, perhaps, even a transcription of the primarch’s deepest and most secret thoughts. 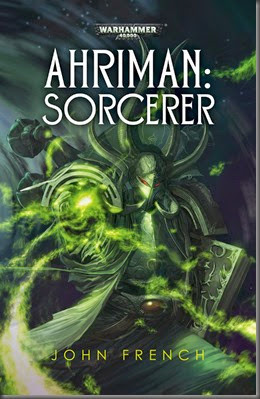 Ahriman: Sorceror is due to be published in early 2015. * He first appeared in Graham McNeill’s excellent, New York Times-bestselling A Thousand Sons. Malus Darkblade made his first appearance in the pages of Inferno!, Black Library’s once-bi-monthly magazine of short fiction and comic strips. It was a comic series written by Dan Abnett. Abnett later adapted the comic into prose, which was later taken on by Mike Lee. Now, C.L. Werner, one of BL’s best writers of horror-tinged Warhammer fantasy fiction, has stepped up to the plate. I’m quite looking forward to this novel, despite not reading many of the Darkblade novels. Maybe this is a good excuse to catch up with them…? 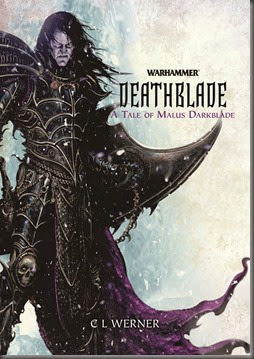 Darkblade must decide where his loyalties lie – will he follow Malekith to the death, or will he finally rise up and try to claim the throne of Naggaroth for himself? And either way, will he survive? It has taken decades, but Malus Darkblade has finally plotted, schemed and murdered his way to power, as the ruler of the city of Hag Graef and general of the Witch King Malekith’s armies. But his position is imperilled when Malekith orders an all-out assault on Ulthuan – with Darkblade in the vanguard. As he wages war on the high elves, Darkblade must decide where his loyalties lie – will he follow Malekith to the death, or will he finally rise up and try to claim the throne of Naggaroth for himself? And either way, will he survive? Deathblade is due to be published in February 2015. As one of the vaunted Crusader Host, Brother Crius stood as the representative of the X Legion upon the soil of Holy Terra, but when he learns of the death of his beloved primarch Ferrus Manus at the hands of the traitors, his stoic, mechanical grief imbues him with the strength and resolve to undertake a special mission on behalf of Rogal Dorn himself. Striking out into the stars, he searches for any signs of his lost Iron Hands brethren, hoping to bring them back to Terra to aid in the final defence of the Palace. The question remains – just who has survived the slaughter on Isstvan V, and what yet remains of them? 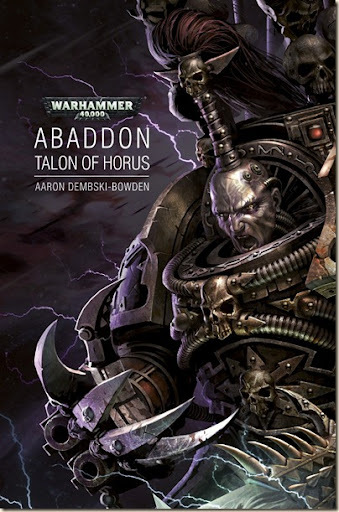 I’m always happy when a new piece of Horus Heresy fiction is released, and this one is by an author I have not read much by, before. The story follows Brother Crius, a member of the Iron Hands, struggling with the loss of his Primarch, Ferrus Manus. He is tasked by Sigismund, the First Captain of the Imperial Fists to seek out any other survivors of the Isstvan V massacre, and bring them back to Terra to bolster the defence against the eventual attack by Horus’s forces. Heading out, with the support of an Imperial Fists captain, what Crius and his companions discover is not at all what they were expecting – nor, actually, what I was expecting. I like what French has done with this story. While I wasn’t entirely clear as to why Crius was incarcerated at the start of the story, the author nevertheless has written a pretty great story. We see a little bit more of what makes the Iron Hands tick, and also a little bit of the psychological damage that the death of Ferrus has caused. True, it’s still a relatively short story, so there isn’t too much of this, but I would certainly like to read more about the Legion pre- and post-Ferrus’s death. The final battle is pretty intense, and not over-described (which was certainly welcome to me). Overall, this is a recommended addition to the growing Heresy story. This (very) short story is part of Black Library’s Advent Calendar series of eBooks. It is also the second by French featuring the Thousand Sons (All is Dust, another micro-story, was released early last year). Hand of Dust follows one of the greatest sorcerers of the Thousand Sons traitor legion – Ahriam, the architect of the Rubric that ‘froze’ his fellow legionaries, in an attempt to rescue them from the fate that has plagued the sons of Magnus for centuries. Hand of Dust is perhaps too short to really have much to write about it. The premise is interesting, and I think it could (and, perhaps, should) have been extended. 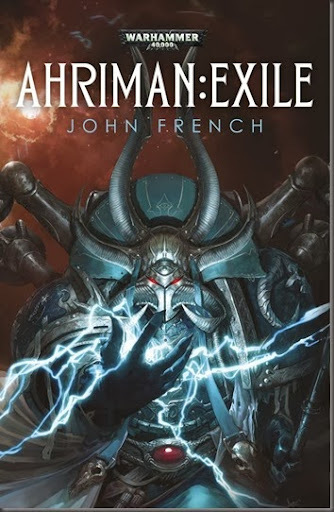 It’s like a teaser for French’s writing and also his Ahriman fiction. It’s a good one, too. 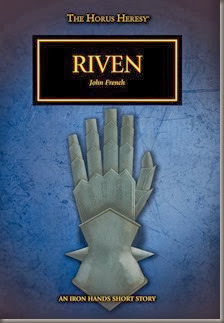 As with Riven, above, French’s writing is pretty solid and well-crafted. It is perhaps not as streamlined and fluid as some of the other, more-established Black Library authors, but it’s still very good. It will certainly be interesting to see how he develops over time. 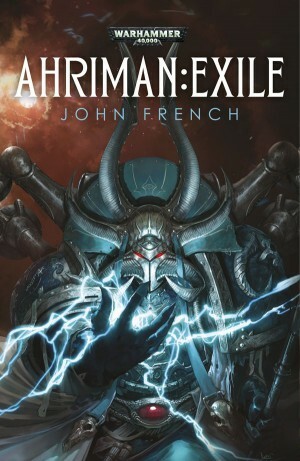 French also wrote the first Ahriman novel, Ahriman: Exile (cover below), which is out now, and has now been bumped up my tottering TBR mountain. 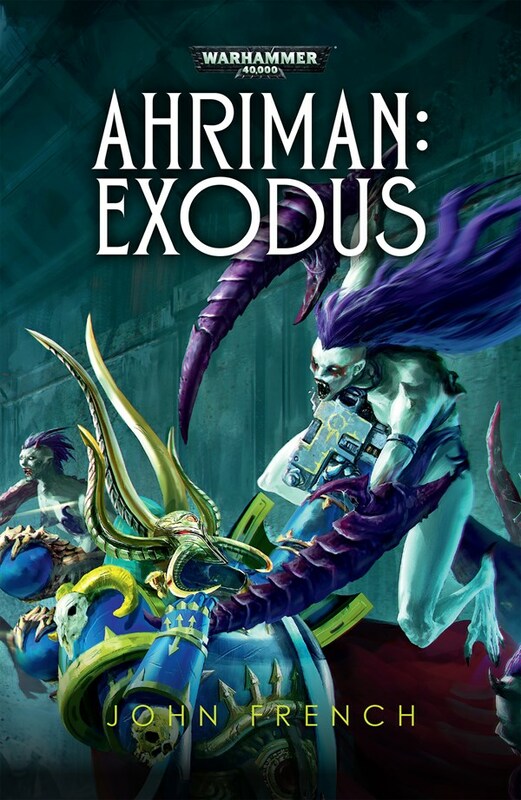 Ahriman also features in Rob Sanders’s Atlas Infernal and Graham McNeill’s superb A Thousand Sons (and a handful of other Horus Heresy novels). French will also be writing a follow-up to Exile, Sorcerer, which is due for publication in 2014.